Between the kids, adults and pets in your house, it seems like every room needs a complete makeover. Learn how to organize every room in your family's home, one room at a time, to take charge of the clutter. The first room you see in the morning and the last one you see each night doesn't feel like your private oasis anymore. Organize your entire bedroom to make it one of your favorite rooms in the house again. Transform your closet from looking like a bargain bin into looking like a fancy department store display. 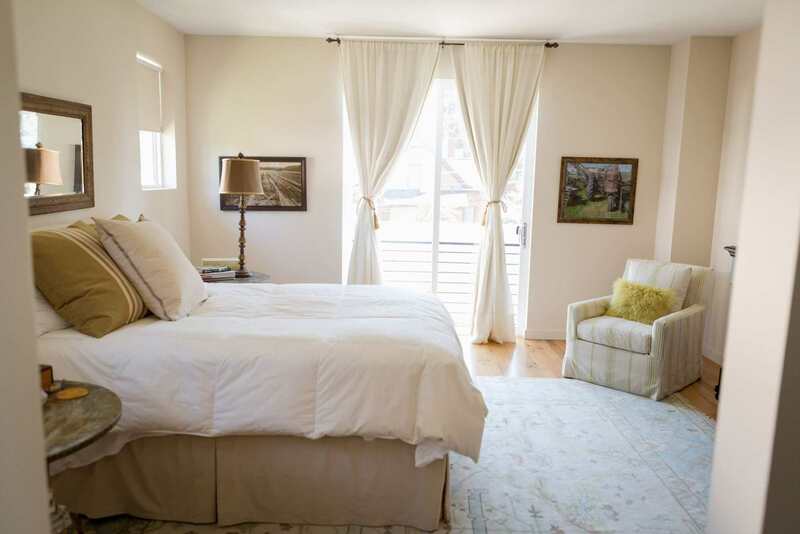 Once you've eliminated the mess, rejuvenate the master and guest bedrooms with a deep cleaning top to bottom. We love 'em but the sweet, adorable people who live in these rooms aren't known for being neat freaks. Fortunately, there are some organization tips just for kids' rooms that help you tackle the layer of toys on the floor and messy beds that never get made. Organizations can help keep the mess to a minimum even when little hands want to yank today's wardrobe off their hangers. Toys can be neatly organized in your kids' bedrooms so that you're not spending every day re-cleaning the same old mess. You'll actually be able to walk into your child's room and not feel the pain of Legos underneath your feet! This high-traffic room sees it all -- kids attempting to pour their own milk, mom's famous meatloaf that requires 15 secret ingredients and families gathered around the table for a wholesome meal with the dog hunkered underneath the table waiting for scraps. There's a lot of action in the kitchen and it's evident by the crumbs, food stains and clutter in general. If this kitchen was in a restaurant would you want to eat there or would you call the health department to shut it down? Organize the kitchen in a way that maximizes your counter space and reduces your counter clutter as well as the clutter hidden away in drawers. A clean and organized kitchen makes the entire house feel clean and organized, even when it's not! You're a functional family but you've got a dysfunctional family room. Toys, DVDs, board games, remote controls and more end up scattered about and one of the rooms you spend the most time in becomes one you're constantly cleaning. Do this room in stages to make the room work for you and get rid of the junk pileups. The task can feel overwhelming so work with the parts of the room that are bugging you the most first. Set up areas for smaller kids to play in the room to contain their toys. Arrange those DVDs, CDs and video games and hold your family to following your system. Thin out the room of anything that doesn't belong there. Your family will soon feel like it's hanging out in a resort's clubhouse instead of a junkyard. That mysterious space underneath the toys is called a floor. Haven't seen it in a while, have you? You're not alone. Families everywhere are tired of cleaning up the room that's been designated as the kids' play place. But you can end playroom clutter in an afternoon of sorting, rearranging and donating gently used toys to worthy locations. When you're ready to put everything back together, organize your playroom to include baskets, bins and keep a list of what your child is playing with the most so you'll know what to keep the next time you swap out toys or get items ready to donate. If you'd rather go into a truck stop's bathroom than your own, it's time to get organized. It's easy for the bathroom to get cluttered and dirty because you have tiny people learning how to use the potty, towels hanging everywhere from daily baths and shampoo, toothpaste and other personal care items that have to live in this space too. Grab a box and clean everything out of the bathroom. Everything. Organize your bathroom by starting with a clean slate. Slowly put what you need back in and get rid of everything else. The garage is supposed to be a place where we park cars and maybe work on a weekend project using a workbench. It's too hard to resist putting anything that will fit into the extra space, though. Take a second look at your garage. What do you really need in there and what can be thrown out? Hang bikes on the wall so they're not on the floor. Use storage shelves to organize the tools, beach toys and car supplies vertically. Throw out those empty bottles of brake fluid, the car-washing brushes with worn out bristles and broken toys you've been meaning to fix for years. It only takes 5 easy steps to get your garage organized. Dirty shoes and clothes are left here so, although this room is usually small, it can feel like a gigantic mess. Plus, most mud rooms or laundry rooms have feet constantly walking through them because it's the room where you enter and exit the house. You don't want these areas to look like a drop-off point for everything from the mail to your diaper bag. Whether you use your home office as a homeschool area or to prepare presentations for the board room, this is one of the easiest rooms to load with clutter. Bills end up here, file folders are strewn about and that big desk makes the perfect tabletop for piling mail, catalogs and books. Take baby steps to organize this room and begin with a shakedown of the things you don't need anymore. Open your hall closet door right now. Happy with what you see? Jackets. Shoes. Blankets. A stroller. The vacuum cleaner. Everyone's hall closet is different but most of us can relate to the hodgepodge of clutter that lurks behind that door. You maximize the space and minimize the junk factor when you organize closets. Empty the closet, take stock in what you have and make the closet efficient with hooks and organizers to keep your items neatly arranged. Next time you go to grab your coat, you won't have a mini yard sale staring back at you. The name of the room says it all. After all, you've probably made your attic or storage room the dumping ground for things you just didn't know what to do with. You know you need to dig in and throw some things out, but the thought of opening the door and having random boxes fall down on you isn't a way you'd like to spend your Saturday. Assess the space to see how it can be reconfigured for optimal organizational purposes. Don't be afraid to take some items straight to the street. If you haven't needed that box from your bachelorette pad you rented almost 20 years ago, chances are, you won't even miss it.